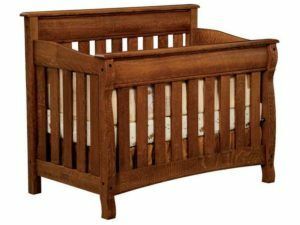 Provide a safe, comfortable place for babies with an Amish-crafted solid hardwood crib or cradle. 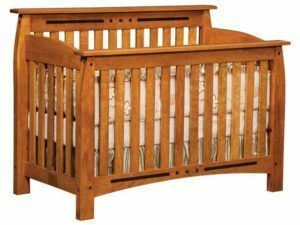 Our cribs come with a fully adjustable design. So the crib converts to a day bed, then to a youth bed. What convenience – and savings! 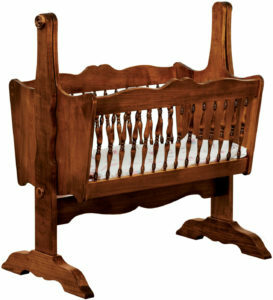 Also, Amish artisans custom-build each crib from solid hardwoods. 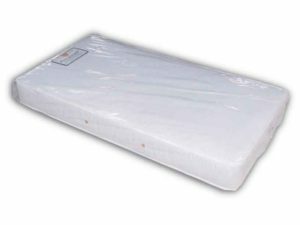 So you can be assured of quality, durability and long service life. Browse our online selection of Amish cribs. Or, visit our ‘brick and mortar’ store in Shipshewana, Indiana, and see our huge selection first-hand. 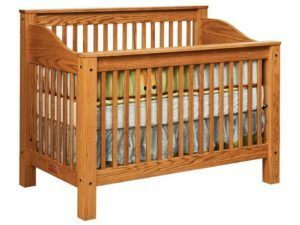 A crib is one of the most important investments you can make in the life of your baby. Because it involves issues like safety, comfort and convenience. 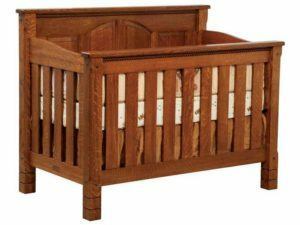 So any crib you buy needs to be top quality. And since that’s the case, doesn’t it make sense that you own a crib that you can used for several years? We thought so. And that’s why we design and build a collection of convertible cribs. 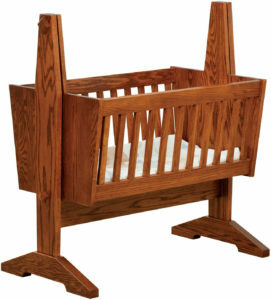 They start out as traditional cribs. Then, when Junior outgrows it, the crib converts into a day bed. 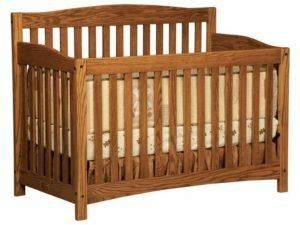 Later, the same crib converts again into a traditional youth bed. That’s some return on investment! 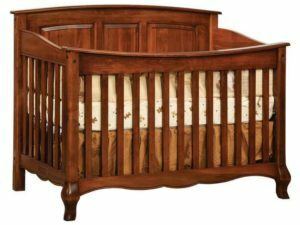 What’s more, we offer convertible cribs in a number of designs and styles. 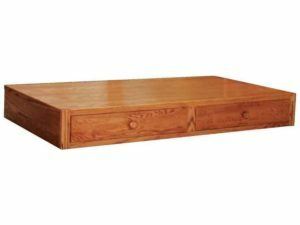 So you can choose a style that complements the other furnishings in the kids’ room – as well as your home. 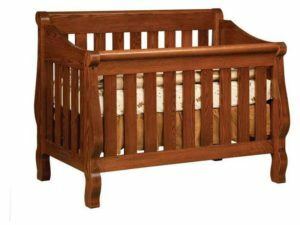 In addition, you can order the crib with your choice of custom options, including wood species, stain/paint/dye and style choices.